Average advertised residential rental prices in Britain dropped to £972 last month but some parts of the country are still seeing robust growth. The last quarter of the year is traditionally a period of cyclical decline for average advertised rents, with prices usually falling by around 5%, says the latest index report from Move with Us. This year is no exception, as average advertised rental prices across the UK dipped by 0.41% in November to £972. However, several regions bucked this trend with the North East, East Midlands and Wales experiencing positive growth of between 3% and 7%. The North East saw a 6.46% increase with average advertised rents breaking £746 per month in November. Advertised rents in this region have increased by 14.9% in two months with improving employment and promising economic growth key factors in the current rent levels. Wales and the East Midlands also bucked the seasonal trend and experienced significant increases in November with average advertised rents rising by 3.02% and 3.45% respectively. The West Midlands also registered positive growth, recovering slightly from the 1% decline in advertised rental rates that was experienced in October. Rental markets in Greater London saw a slight decline, with advertised rental prices falling by 2.17%. The average advertised rent now stands at around £2,246 per month, £49 less than the October peak. These conditions suggest that the usual end of year decline in advertised rents could be on a larger scale than previous years. A ripple effect into the commuter belts resulted in advertised rental prices in the South East falling by 0.43%. Advertised rents in East Anglia, Scotland, the North West and the South East fell by just under 1% in November indicating the start of the usual annual cyclical decline. 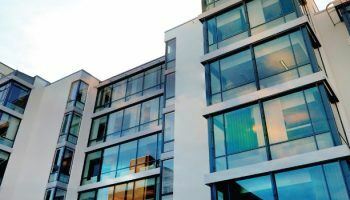 These setbacks should be reversed by the second quarter of 2013 as demand for rental properties goes back up after the Christmas period and starts to increase in the New Year. ‘Advertised rental prices provide an early indicator of what is likely to happen next in the market and the statistics in this month’s rental index demonstrate further evidence of a stable private rental sector with demand and supply relatively balanced during the month. The North East continues to be a strong performer and will be worth watching closely over the coming months,’ said Robin King, director of Move with Us. ‘The private rented sector has seen greater demand over the last 12 months as more and more people opt to rent as they can’t afford the deposit needed to buy their own home, or move up the property ladder. Younger generations are also renting for longer periods before choosing to buy’ he added.